It is very possible by the time that this article is published I will have been "un-friended" on Facebook by CNET's Steve Guttenberg after my comments on a recent post. My argument: it's misleading to suggest that retro (usually 1970s) audio gear sounds better than today's state-of-the-art gear. Unfortunately he's not the only audiophile who is carrying the "old is better" torch. Simply put, today's audiophile components are superior in pretty much every meaningful way to the gear of the past. Retro certainly has its appeal. But that doesn't mean it's better. What I am not down with is the idea that old technology is somehow higher-fidelity than today's cutting-edge offerings. That argument has about as much validity as saying that we are being controlled by the Illuminati via additives put into jet fuel and spread around the world via the ensuing jet trails. If you believe that stuff, you're not just silly--you're also a dangerous wacko. Let's dive into this "older is better" argument looking at source components first. In recent months/years, I've beaten vinyl to death over its limited maximum dynamic range of 65 dB (about half of the volume of a snare drum snap), its high levels of harmonic distortion, the fact that the discs wear from the first spin. Also used vinyl sales doesn't benefit the artist. Vinyl sales make up a mere fraction of the disc sales in the U.S. in 2017 according to the RIAA. Don't get me wrong: there is one upside to vinyl playback in 2019 - you get to hear the record in with the order and cadence that the artists, producers, and engineers wanted--unlike iTunes, which is as I type this shuffling between Rush's "Limelight" and a deep track from Thievery Corporation. Vinyl is an analog audio format in an overly digital world that has its appeal for digitally burnt-out people. I will acquiesce to the concept that you can buy scratched up and used vinyl on the cheap at the last remaining record stores, but nobody who understands the math and science of audio reproduction is going to tell you that an HD stream (like from Tidal or Qobuz) or an HD 96/24 file (like from HDTracks.com and elsewhere) isn't the state of the art of music playback. There is no way to argue against the fact that 2019 technology offers us access to nearly all of the music ever created in CD to HD resolutions for a little more than the cost of one single Compact Disc per month. Sorry, the past isn't better here. Even with an unlimited budget and a new, fully stocked Tower Records store opening down the street from your house, it just isn't better than what we have today as music lovers and audio enthusiasts. These are the best of days--not the 1970s. Let's move onto electronics with an eye to the argument that old is somehow better than new. Steve's post had a photograph of looks like a vintage 1970s integrated amp or receiver. I can't tell the brand, but it is something retro. Big, bulky, and packing cool meters, knobs, and gauges. I love the old-school appeal, but please don't tell me that such a low-powered relic can compete with a modern-form-factor integrated amp or receiver with modern amplification, 24 bit (or higher) internal DACs, even nicer knobs, meters, and controls? 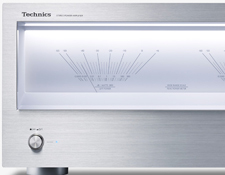 Take a look at what Technics is doing in the world of new-school-but-retro-looking electronics and tell me that if you are looking for the best performance (remember, that's the argument here: old stuff sounds better) that you wouldn't take the new Technics rig over an old Sansui, Yamaha, or whatever. 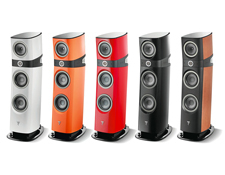 Wanna dive into speakers on the "old versus new" front? You think loudspeaker drivers haven't improved in 30-plus years? They have, big time. The rise of neodymium to make better, lighter magnets is only a start. 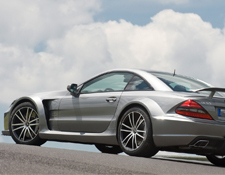 How about the use of rare Earth materials like Beryllium in tweeters, which, while a little expensive overall, deliver stunning, modern high frequency performance on the high end. How about the mountains of research done by people like Floyd Toole and others in the intervening decades? 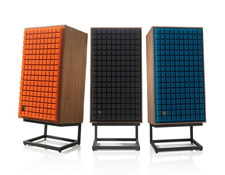 Yes, there are kitsch-retro products out there, like the soon-to-be-reviewed JBL L100 (the speakers from the legendary Maxell ad), but note that JBL Synthesis didn't just remake the L100 exactly like the past. They redid the speaker. See, even JBL knows that when selling the past that consumers who are in the know demand performance that meets 2019's higher standards. What is perplexing is how audiophiles revert to the past when the audiophile hobby has thrived during decades of meaningful and positive technological change. 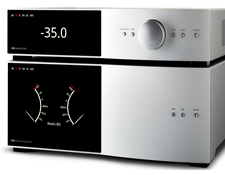 NOS DACs are all the rage all of a sudden in a world where digital audio has had 30-plus years to improve each and every aspect of audio reproduction. Today, we live in a world where you can have access to all of the music in the world for $20 per month. We live in a world where audio gear is completely evolved to new, far higher levels of excellence in performance.